Have you ever spent a whole flight completely bored because your seatmate wasn’t too friendly or you were perhaps too shy to speak up? 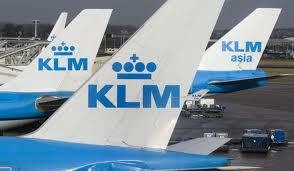 Well, you likely won’t have to grapple with that problem if you fly with KLM Royal Dutch Airlines. Early next year, they’ll be implementing a new feature called “Social Seating”. With social seating, customers can choose who they sit next to on the airplane. KLM has yet to release specific details, but the general idea behind the feature is that people will be able to find fellow passengers who have the same interests as they do and will thus be able to choose to sit next to them. The app will be using Facebook and Linkedin to facilitate the service. As for security and privacy, users would have to grant the Facebook application permission before their information would be used in social seating. KLM won’t lift anything from your profile for their social seating app unless you specifically allow it to. When the actual application is released, we’ll know more about the level of profile access required and any privacy concerns that might arise. Social Seating will certainly go a long way for making the flight slightly more interesting for people. Who knows, you might even gain a new friend along the way. People are concerned, however, that this feature could be used as a dating tool. With Facebook and LinkedIn access, it’s highly possible that people might base their seating preferences on looks rather than interests. There’s a good chance that you could end up annoyed by an overzealous seatmate who’s looking to hook up rather than simply talk. When all is said and done, social seating could either be a good thing or a bad thing, mostly depending upon your luck. If you’re up for some risk, then you might like this feature, just don’t forget about the basics of keeping yourself relatively safe and don’t divulge too much info on your Facebook or Linkedin page. However, if you like your privacy and prefer to ignore seatmates for the whole trip, then steer away from social seating. Still, it’s interesting to note how more and more services are implementing a ‘social seating’ feature. Just earlier this year, Ticketmaster released a similar feature which allows people to find where their friends are sitting during concerts or similar events. Facebook – despite all the complaints some people may have against it – is certainly doing a very good job of integrating itself into people’s everyday lives.